Why do you carry LXCOB-B ? 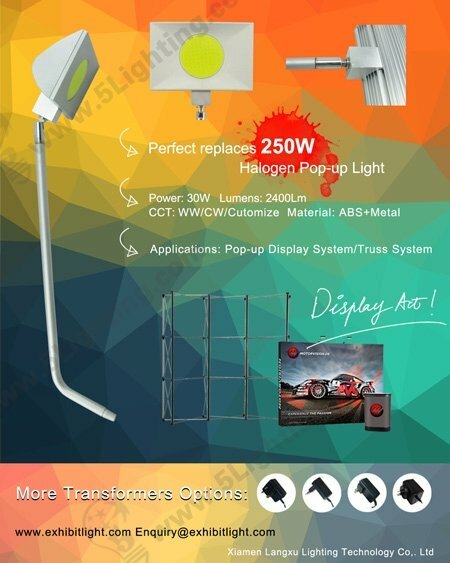 Dear all our customers, this is our new design LED Pop-up stand display lighting. With more and more requirements for LED arm lighting for a special Pop-up stand, we designed this new arm lighting for it. With 30W LED lighting source, and the special tail fittings, the LXCOB-B is best choice for you to lighting up your Pop-up stand.